Chrome app builder is an editor extension for Unity to export games as google chrome apps. ⚠️ Officially no longer supported. Use at your own risk. Since Google is killing chrome apps for Chrome on Windows, OS X and Linux, and now supporting Android and Linux apps on ChromeOS, I don’t see the value in maintaining this repo. Chrome app builder is an editor extension and API for Unity3D to export games as google chrome apps. It is designed to look just like the build settings of other platforms. Bad builds with pre-built engine option. 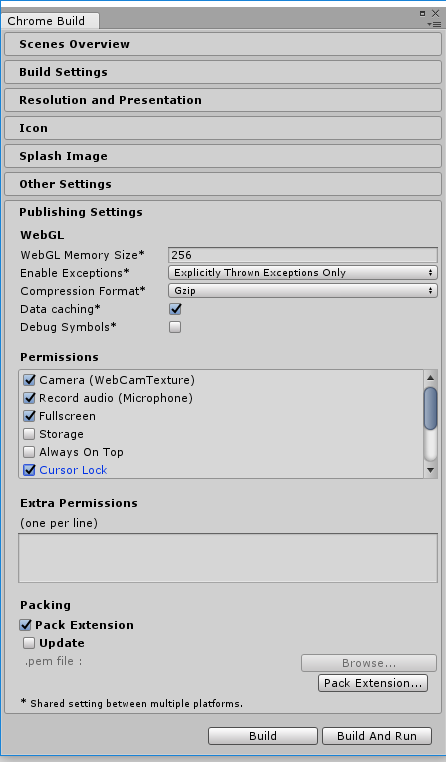 Mostly, it is based on the webgl player of unity, which means the WebGL module for unity needs to be installed. Combined with a template, and and an extension to fix the chrome related stuff, and it’s all good. In addition, it offers an API to access chrome functions from within unity. Just add the content of the assets folder into the assets folder of your project. Choose “window -> chrome app builder” to access the different settings and the build button! Is it on the asset store? No, but it should be. 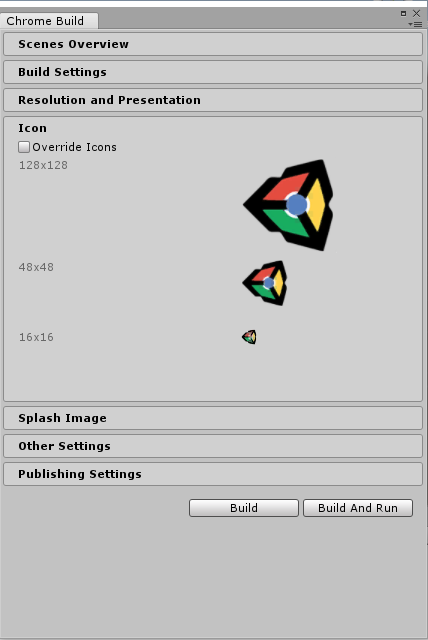 I guess because of the nature of the constant change of the way the WebGL player works, it is hard to maintain this project for many Unity versions. You need unity3d installed (5.3 and above recommended you probably need the latest version, since Chrome app builder uses private unity apis that keep changing all the time, and we try to keep up and update it. so best way is to test.) 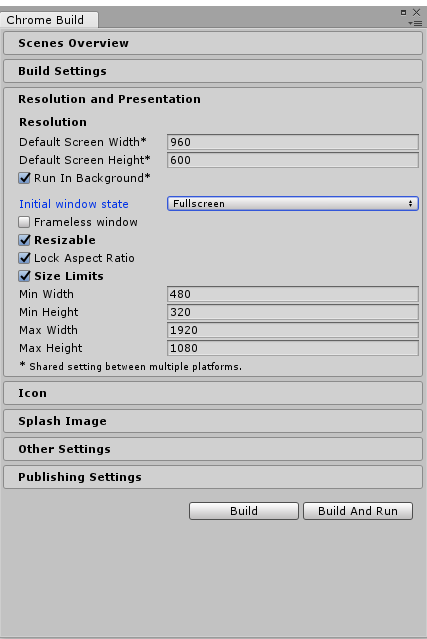 with unity webgl module. And of course, you need google chrome on your computer.